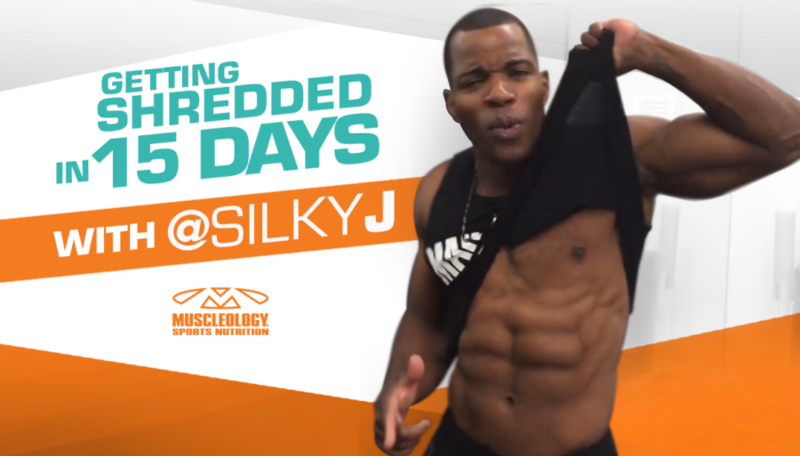 Miami, Florida: With just a little over two weeks to transform into photo shoot ready condition, Team Muscleology veteran personal trainer Silky J was prescribed an ambitious Muscleology Get Shredded supplement stack to take his body to the next level of leanness. 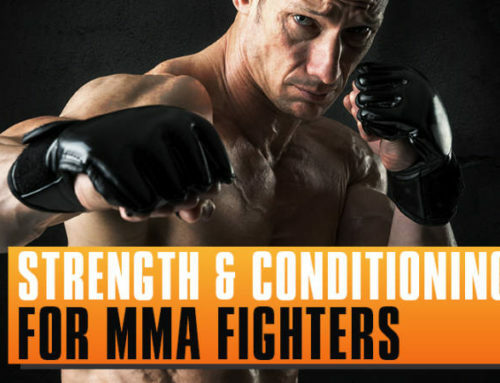 To the novice trainer this may seem like a lot of supplements, but to the veteran who knows what it takes this is not excessive, but comprehensive covering all bases. Let’s take a look and break down the thought process behind the stack. In order to achieve ultra-shredded condition Silky J must function in a hyper-metabolic accelerated around the clock. Team Muscleology trusts in these time-tested fat destroying nutritional tools anytime they’re in cutting mode! • E’CINERATOR: Extreme energy and weight loss formula 1 capsule twice per day to support energy, focus, mood & metabolic acceleration. • DPX CUTS: No transformation stack is complete without this indispensable muscle definition enhancer which helps reduce excess water. 1-2 caps twice daily stacked with E-CINERATE. • L-CARNITINE Powder: We add gasoline to the fire with this super fat destroying amino acid often stacked with SLEDGEHAMMER before workouts and SUPER-8 during training session for faster fat loss. 1 scoop before workouts for accelerated fat loss. • CLA: Our premium Conjugated Linoleic Acid is a must use supplement when dieting to reduce fat and improve the lean body mass ratio. 2 caps with morning and evening meals daily. The harder you can train when dieting the leaner and more ripped you’ll become. This trio of muscle building essentials will help you perform at your full potential in the gym or playing field. 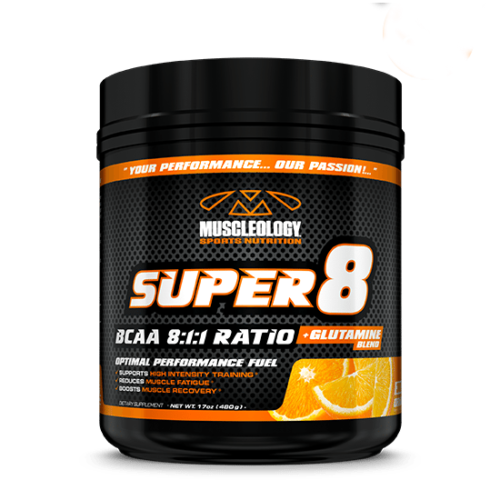 SUPER-8: Is your anti-catabolic intra-workout muscle fuel to protect precious lean muscle tissue with 8:1:1 BCAA’s while hydrating working muscles with over 1gram of premium electrolytes. 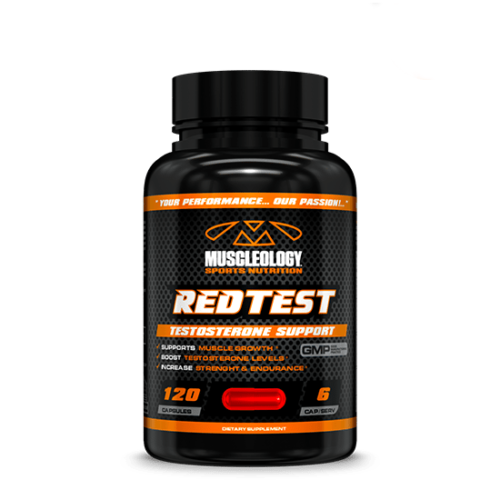 • REDTEST: “Unleash the Animal Inside” with the ultimate natural testosterone amplifier for improved, strength, power and libido! 3 capsules twice daily will have you feeling beastly. 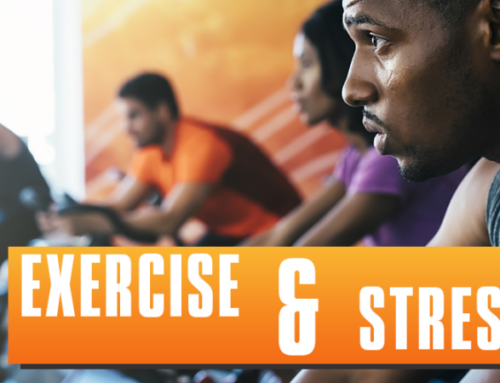 Muscle recovery and health are important for all Team Muscleology athletes, hence the reason why these three items are core staples in all phases of training year round. • NITRO-UP: Advanced muscle recovery protein with nitrogen retention co-factors, digestive enzymes and more! 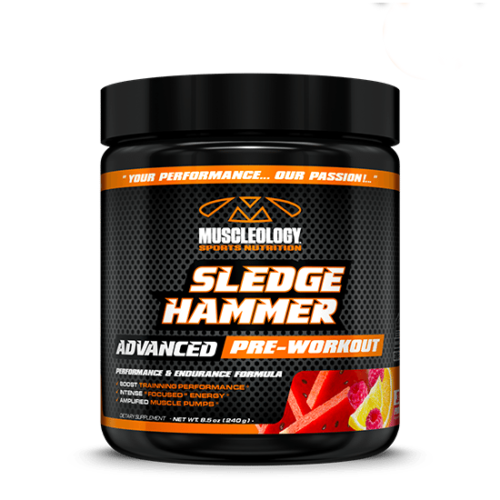 1 scoop twice daily after each workout with desired liquid contingent on your goals. • MYOFIBER: All-in-one digestive formula to keep you healthy from the inside out while cleansing the intestines and helping maintain stable blood sugar levels. • DTOX: Team Muscleology athletes use a lot of supplements, which is why DTOX is used year round to help maintain healthy kidney and liver function. 3 capsules twice daily will keep the machine running clean. When you’re reputation and career is on the line you can’t take shortcuts. Team Muscleology athletes go with precision stacks that deliver results. This is the precision Muscleology stack that’s going to get Silky J in top form for his photo shoot while staying healthy in the process! 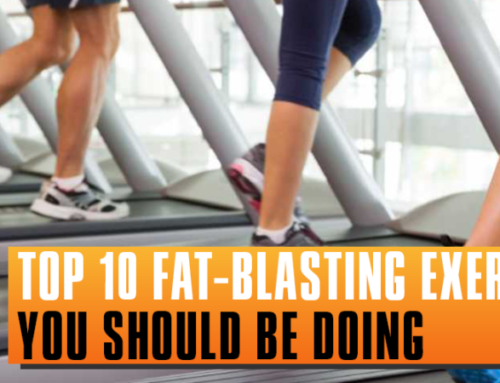 Top 10 Fat-blasting exercises you should be doing NOW! 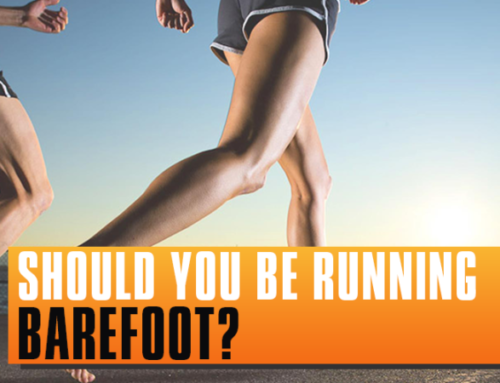 Let those feet fly FREE! 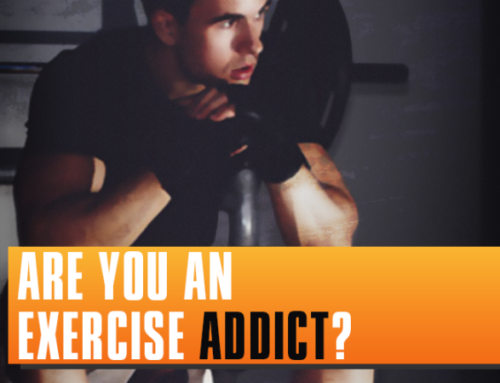 Are you an Exercise ADDICT?